We're in beautiful San Francisco for the 2013 Garden Bloggers Fling!!! 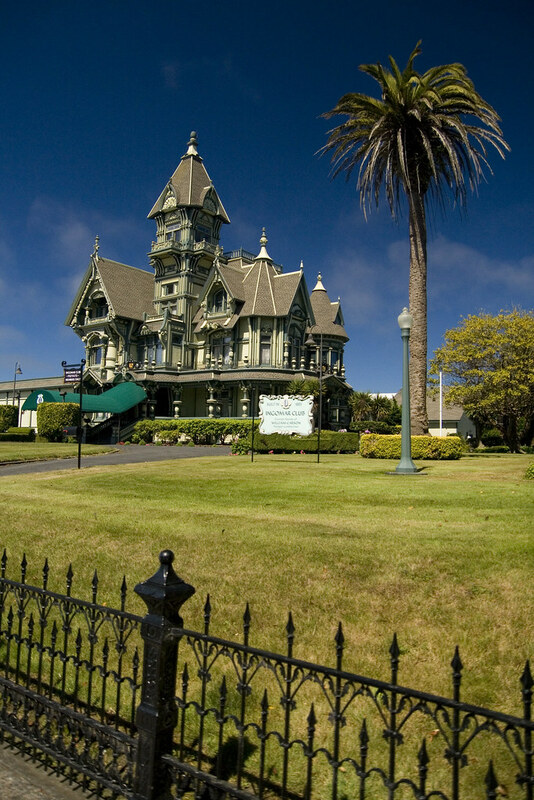 More pics to come, but for now, I leave you with a pic of a cool building we saw as we passed through Eureka, CA. Have so much fun! We'll be here melting! Have a great time at fling, and try not to come home with too many plants! Wow! That's a fantastic site! It was great meeting you this morning at Ruth Bancroft Garden! Sorry it was such a hectic and brief visit; I would have loved to talked more. There's always next year at the Fling in Portland! True confession time - when I was in elementary school, I tore a color photo of this house out of a book on architecture and pinned it to my bulletin board at home. I still feel guilty about it, and should have waited for you to post this picture 40 years later. It was cool to meet you on the tour. I looked up the Anigozanthos variety at the Dudan Garden: Pink Joey. I've read about that gorgeous house! Hope you had as much fun at the fling as I did & thanks for transporting my plants for me! I'll never go to CA without a car again! I've been to Eureka several times but never saw that house. It's fabulous. Did you know there is a famous decorative artist by the name of Jo Sonja Jansen who lives and works in Eureka. Great meeting you in SF. I love the architecture too! The gardens were top notch. You didn't think I was done, did you? Why you should go to Joy Creek this weekend!